Happy Saturday, dear readers! I hope your weekend is off to a fantastic start! It's business as usual around here as I tie up a few loose ends in preparation for a short blog vacation while the hubby is out of town on business. If you haven't seen my previous post, I'll be heading down to Long Beach, Cali to cover the International Salon and Spa Expo. If you're not already doing so, be sure to follow me on Facebook, Instagram, and Twitter for live updates at the expo! Now on to today's blog post! I've got a short post for you today, but I hope you enjoy it! I wanted to share the simple eye look I've been sporting all this week. And yes, I *have* been removing my makeup at the end of the day, haha! With the skies being overcast and rainy for a good portion of the week, I've been sporting a colourful look to keep me out of the "rainy day funk" occasionally get in when there are long stretches of rain. 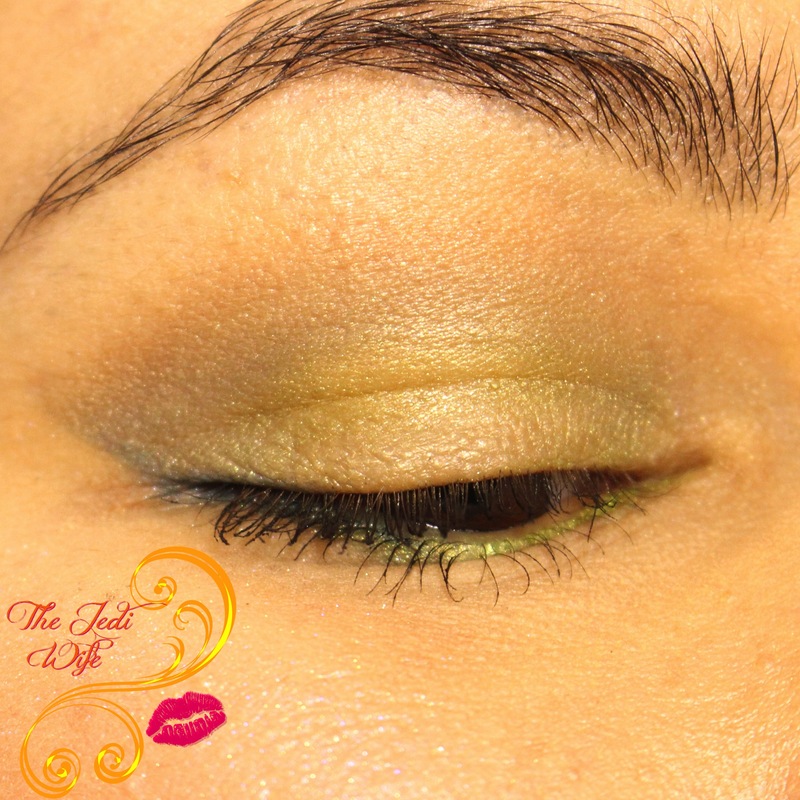 To create this look, I used several eye shadow shades from Ever After (Polish). I started with Cinnamon Sugar as my base, applying it on my eyelids and up into the crease. I then used Dinglehopper in my crease followed with Kissin' Frogs lightly patted on to my eyelid. I also used Lace on my browbone. Dinglehopper and Kissin' Frogs made an appearance again as my lower eyeliner. I completed the look my adding Masterful Eyes Mascara by Bellimissa. I'm currently obsessed with this colour combination, so you may be seeing this combination as I share future face of the day posts! That's all I have for today, dear readers. Keeping things short, sweet, and to the point today! I hope you've enjoyed today's post and that you enjoy your weekend! I'll catch you next week! 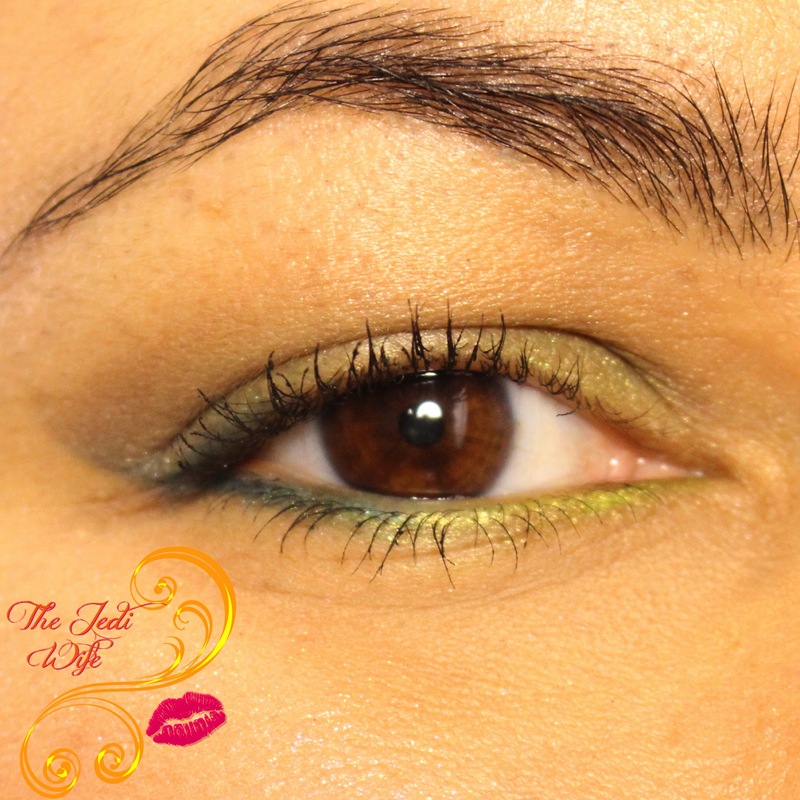 I love greens and purples on brown eyes - it really contrasts and make your eyes pop! <3 It's been gloomy here in AZ too...but still in the 60's, so I can't complain too much. That color combo looks fantastic on you! This is a great look, simple but colorful. Enjoy the expo! I am loving this color combo too!!! Perfect for Spring and Summer!! !